Ready to tie on the front. 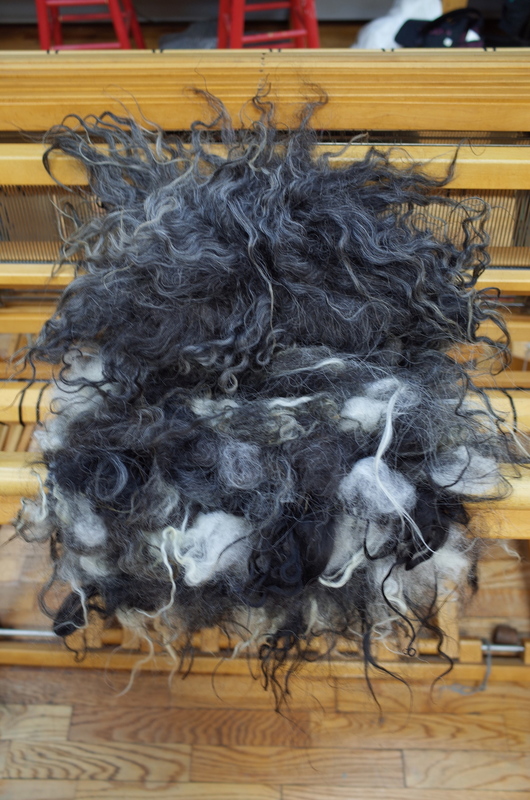 Transition to completely raw Icelandic fleece. Off the loom and ready to be finished into a wall hanging.